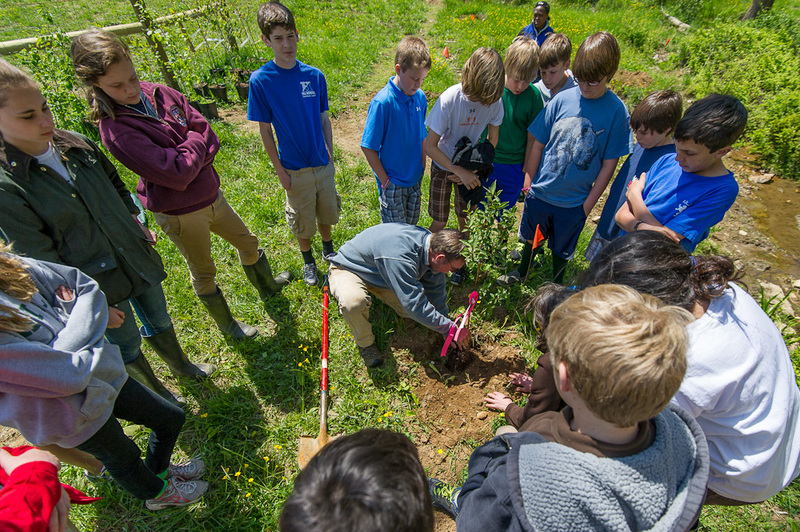 As part of their science curriculum,The Hill School sixth-graders spent one April afternoon planting trees on a local farm. 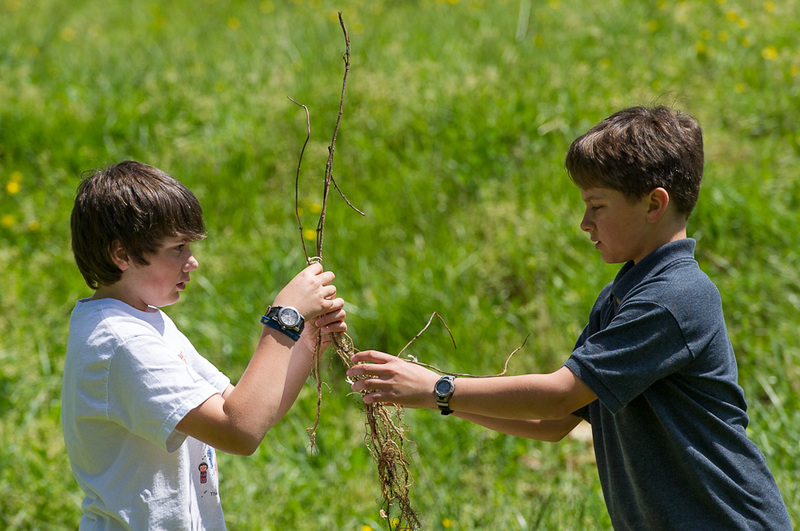 The owners had recently fenced off a stream, separating it from their livestock, and had the Hill schoolers assist them in planting trees as a riparian buffer to prevent continuing erosion. With nearly 150 trees to plant along the stream bank, they had their work cut out for them. But, with the enthusiasm and energy that 12-year-olds have, it didn’t take long for the trees to meld with the soil and drink up the buckets of water collected from the stream. 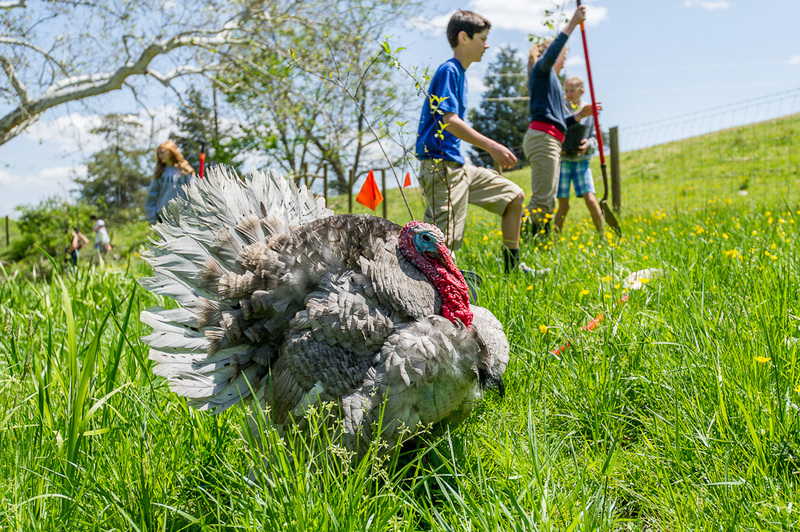 Tom, the resident turkey, entertained us at lunch and then followed us down to the stream from the barnyard to oversee the action. 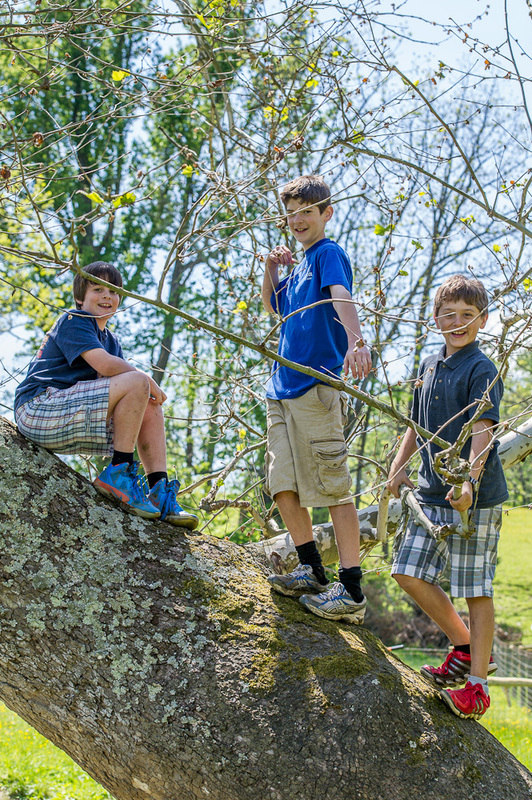 And, of course, what tree-planting experience would be complete without a tree-climbing expedition? 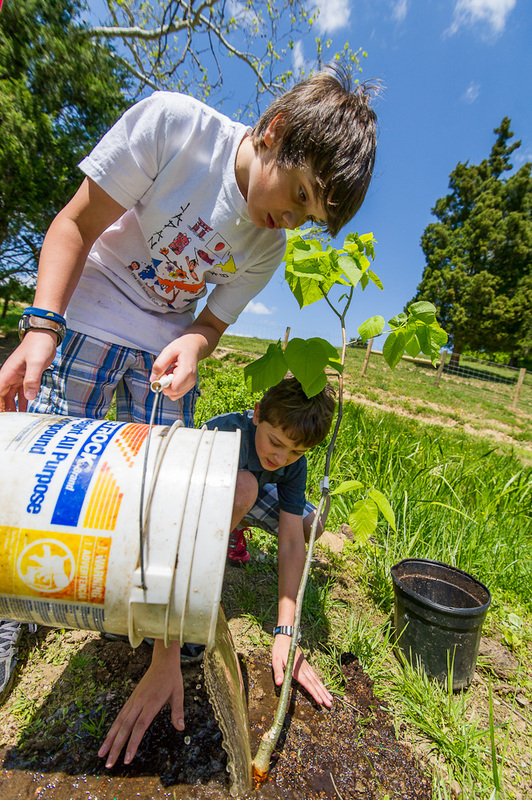 It might take a few decades, but the trees they planted today will one day grow up to host their children or their children’s children on yet another great adventure. What a great thing to do and a wonderful experience for the kids!